The finale of American Idol is nearing, which means more and more fan favorites have to be eliminated. Sunday's episode whittled the competition down to the Top 5, as the singers took on two songs: one by Prince and one from their birth year. And Nick Jonas was there to mentor the group through their throwback performances. Plus, Cade opens up about his 'flirting' with Gabby. Despite strong showings by each singer, two were sent packing before the night was through. This time, it was Jurnee and Catie Turner we had to bid adieu. 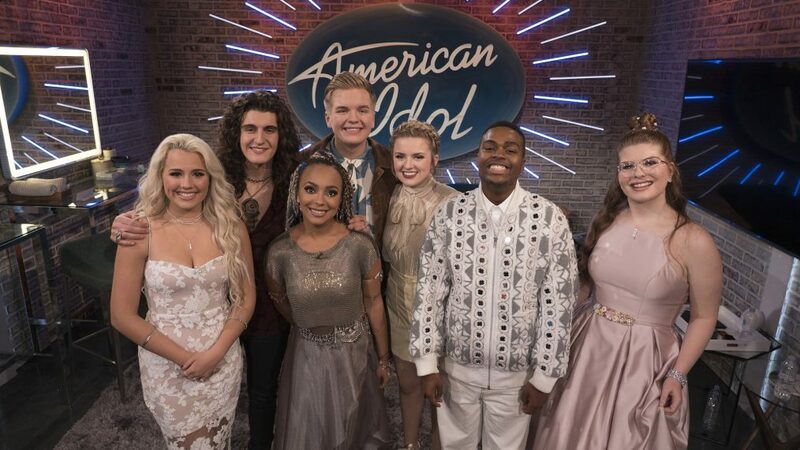 The girls' elimination paved the way for the following to get one step closer to the finals: Cade Foehner, Maddie Poppe, Caleb Lee Hutchinson, Gabby Barrett, and Michael J. Woodard. That said, some viewers are still upset over the show's new live voting format, which seems to give an advantage to those who perform earlier in the episode and earn more votes. There's been no word from the show whether they'll adjust the format moving forward. As for next week's installment, the contestants will be joined by a familiar American Idol face in the form of a mentor — Carrie Underwood. They'll travel to Nashville to work with the country songstress and Underwood will debut her newest single on the May 13 episode. As for the Top 5, did America get it right? Below, watch their best performances from last night and let us know what you think in our poll.